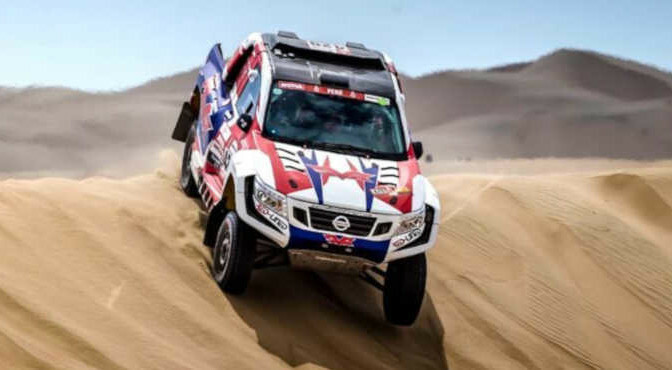 Shameer Variawa and Zaheer Bodhanya’s Dakar baptism of fire continued on Tuesday as the South African rookies endured another adventurous day aboard their SVR Red Lined Nissan Navara. The intrepid duo struggled with navigation on Monday’s opening stage but fought back strong on Tuesday, only to suffer a few technical challenges late in the day. In spite of their challenges, Variawa and Bodhanya ended up 68th on day 2 as they moved up from 75th to 67th overall. Wednesday’s third day sees competitors racing 331km of the 799km run through the arid wastes between San Juan de Marcona and Arequipa, including an ominous new dune challenge called Acari for the first time. Articolo precedenteL’ERREFFE RALLY TEAM-BARDAHL INIZIA LA STAGIONE CON IL PRESTIGIOSO RALLYE DI MONTE-CARLOArticolo successivo#NWES 2019 – SEASON Scopri la #NASCAR Whelen Euro Series all’Autosport International!